The major goals of this planning program are to ensure adequate open space and recreation facilities for all residents of the region and to preserve scarce and valuable resources important to the ecological and economic life of the region. The Regional Outdoor Recreation and Open Space Plan guides planning activities under this element along with standards set from the National Parks and Recreation Association (NRPA). The Comprehensive Outdoor Recreation Plans (CORP), follow guidelines set in place from the State-wide CORP or SCORP from the WIDNR. Program Objective: To assist member communities and counties in meeting eligibility requirements for participation in matching funding programs for park acquisition and development available through the Department of Natural Resources’ Stewardship Program. To work with interested counties and individual municipalities to prepare and update comprehensive recreation and open space plans. It is common for one county plan and one or two community plans to be completed in a typical year. Planners provide information and assistance with the preparation of recreation plans, regarding recreational needs or opportunities, goals and objectives, recommendations, and action plans. Design of environmental and activity corridors, specific park sites, residential areas, downtowns, and other open space criteria may also be included. This assistance is paid for by member communities and counties through tax levy dollars coming into the Commission’s budget since the program is regional in nature. A typical municipal plan takes 3-6 months or less to complete with County plans typically 12 months or more. In addition to CORP documents, staff also performs concept planning for specific parks submitted by regional members. These plans are not engineered drawings but offer vision and options of what a park’s future amenities could look like. Cost analyses as well as public input results are collected to provide a representation of ideas that could be facilitated. Concept plans are created with the resident in mind as well as feasibility. Staff assists the local units of government in the preparation of comprehensive outdoor recreation plans or CORP. These types of plans are typically done separate from the Comprehensive Land Use plans to qualify for State and Federal Funding requirements and should be done every 5 years. A CORP is necessary to apply for state funding such as Stewardship Grants and LAWCON federal grants as well as Alternative Program Grants (TAP), Map-21. The plan will also promote and provide a more detailed vision for the City’s recreation facilities in the next 5 years for priorities. It guides the Capital Improvement programs on what money should be earmarked for what use or facility. The local role of East Central is to assist with the inventory of existing facilities and the assembly of other information and documentation needed in the preparation of the plan and meet with constituents to determine local needs and priorities. East Central works with the municipality to analyze existing facilities, determine needs, and prepare an updated project list for use in a priority setting. Upon adoption, ECWRPC is responsible for final plan preparation, mapping, and printing. In a typical year, one county plan and a handful of community plans are published. Staff may also assist counties and local units of government with a variety of trail planning and implementation needs, including serving in an advisory capacity along with ECWRPC’s Bicycle and Pedestrian Coordinator, on trails and greenways committees and providing technical assistance on route planning and design and other implementation issues which may arise. A major emphasis will be to work with counties and local governmental units to develop an integrated network across jurisdictional boundaries, identify potential funding sources and, where appropriate, obtain consistent standards of trail and facility design, maintenance, and promotion. 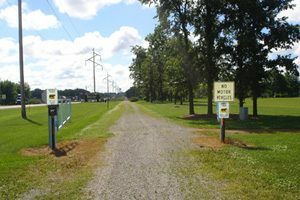 Expertise and assistance is made available to counties and communities in developing trails, greenways, and support facilities, addressing special design problems and/or user needs, identifying potential linkages to nearby communities and with other potential and proposed trails, and exploring potential funding sources. Efforts focus on complementary activities related to ongoing efforts to expand the state recreational trail network in the region. Among these are the WIOUWASH Trail, Nicolet Trail, and the proposed Highway 10 Trail between Fremont and the High Cliff State Park/Forest Junction areas. 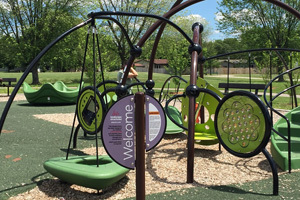 Planners continue involvement with local efforts to bring connections throughout the Fox Valley and beyond by using assessment tools and guidelines to best suit the needs of residents.